Sensor Valve Standing Ceramic Urinal For Restrooms. Automatic urinals with sensor control flushing system,more water saving for commercial public toilets ,more hygienic for human. High quality porcelain urinals are special for our electronic urinal flush valves with fashion styles, which are easy installation and maintenance for new and retrofit buildings. With prospects, we would many styles of urinal flush systems to suit these urinals to meet enduser's demand. 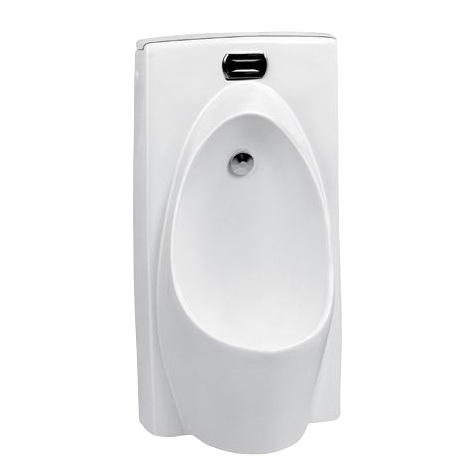 Looking for ideal Standing Ceramic Urinal Manufacturer & supplier ? We have a wide selection at great prices to help you get creative. All the Ceramic Urinal For Restrooms are quality guaranteed. We are China Origin Factory of Sensor Valve Ceramic Urinal. If you have any question, please feel free to contact us.